Syria has been a country plagued with violence for years: a civil war between the al-Assad government and various united groups of rebels, ISIS capturing land for its own caliphate (a term for the Islamic State’s territory), as well as foreign superpowers like the US and Russia getting involved. People have been fleeing the country since 2011, but the rate of emigration has increased exponentially over the last few years. Looking at some quick figures, 4.5 million people have fled Syria, more than half of them children under the age of 18. The majority of these refugees have relocated to nearby Middle Eastern countries, such as Jordan, Lebanon, and Turkey. Many refugees have made the 1,400 mile journey from Syria to Europe in search of a better life. The European Union offers asylum to refugees as long as they can demonstrate their lives were unsafe in their place of birth. In 2014, 137,947 refugees have applied for asylum, making a total of 689,365 applicants since 2011. Many European countries, such as Germany, Greece, and France, have committed to taking in more refugees in the coming years. Many wonder if the U.S., a global superpower and historically a nation dedicated to helping those in need, is doing its fair share. About 1,500 Syrian refugees are living in America now, but President Obama has agreed to raise this number to 10,000 in the next couple of years. Of all the Syrian refugees, the U.S. shelters about 0.03% of them; Jordan, a country with a Gross Domestic Product about 500 times smaller than our country, has 15% of them. Looking at those numbers, one might be inclined to believe that our nation’s commitment to justice and healing is sorely lacking. However, the United States has donated more funds to refugees than any other country, with a grand total of $4.5 billion. This figure comes from donations from dozens of organizations (such as Unicef, and World Vision, and Mercy Corps), the federal government’s fund (AKA tax dollars), as well as citizen fundraising. 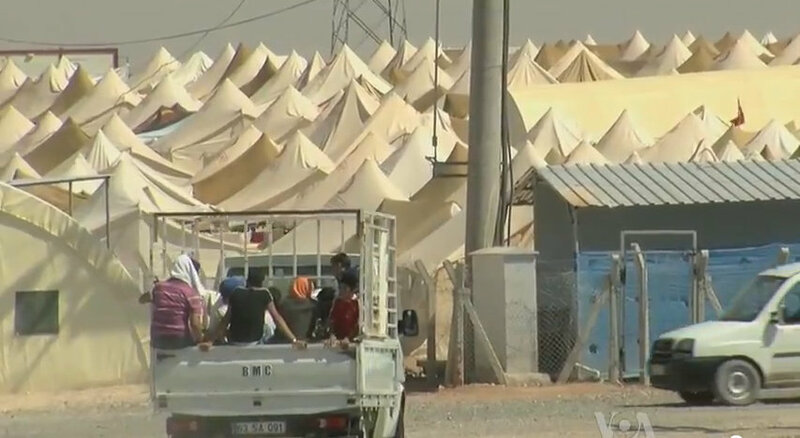 In some ways, cash inflow is exactly what the U.N. and Middle Eastern refugee camps need. Experts say keeping the Syrians close to their home of birth will lessen culture shock and allow Syria to be rebuilt once the violence fades. When debating the pros and cons of letting refugees come to America, it’s important to understand how incredibly difficult it is to become a U.S. citizen, especially for high-profile immigrants like the few Syrians who are being accepted into the country. The screening process for applicants is brutally comprehensive, ensuring that only the most desperate and qualified refugees will be able to enter. While many Americans fear the incoming refugees to be terrorists, criminals, or otherwise dangerous, recent data from Turkey proves that these arguments are unfounded in truth. The country of Turkey, located directly above Syria, hosts almost 2 million Syrian refugees, and has reported that only 0.43% of Syrian refugees were involved in crimes in 2014. This figure includes not only when Syrians committed the crime, but also if they were the victim. Of this tiny percentage of crimes, about 61% of them were for forging documentation, a non-violent crime. 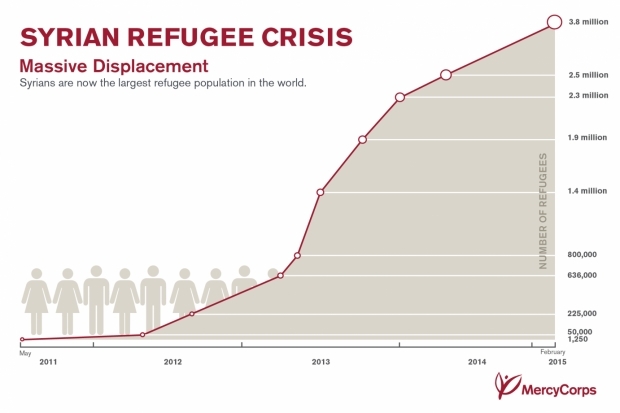 This shows that refugees are not looking to create problems or hurt our country. They are scared families looking for a new way of life. The United States certainly has it’s own share of problems, but now is not the time to take a backseat in this crisis. Our country can do more, and so can you. Visit www.worldvision.org to find out how you and your family can donate, or simply stay informed. The most important thing we can do at this point is to continue to fight for the refugee’s rights, and remember that fear is never the answer. If we put ourselves into the shoes of a mother, father or child in the midst of a broken country, it’s easy to see that we would want the same thing that everyone wants: happiness, health, and the freedom that America has to offer.